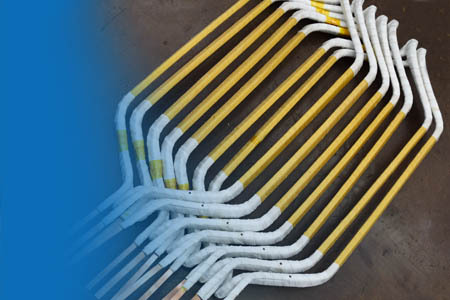 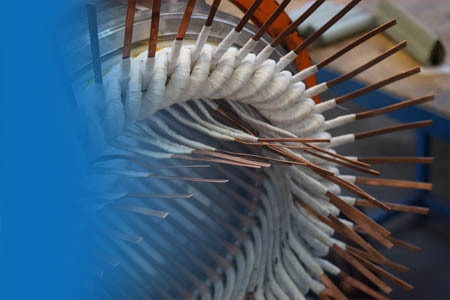 Since 2002, we have been engaged in the manufacture, insulation and laying of coils from the section wire. 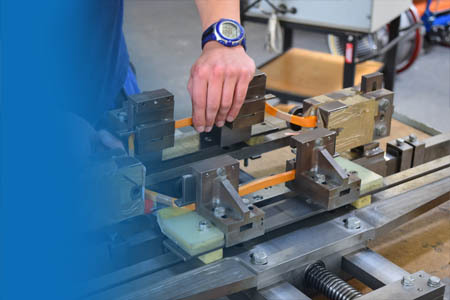 We have experience mainly with the manufacture of tram drive units, 400kW drives of electric locomotives or, for example, wind farm generators and all according to the documentation supplied by customers. 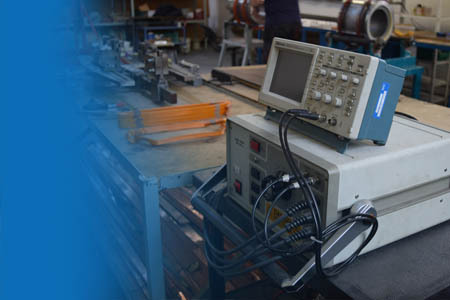 We can quickly adapt our production processes for small series and prototypes. 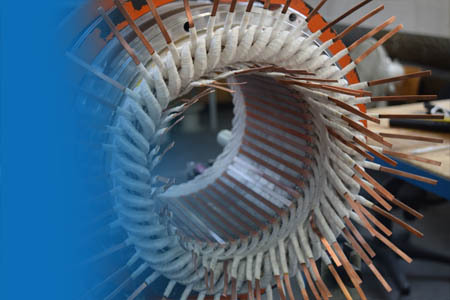 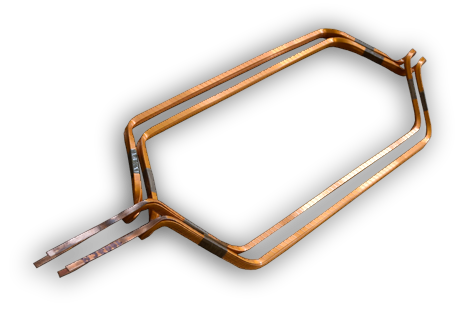 We are able to produce winding coils from the section wire according to the documentation provided in temperature class F or H.
Indicative maximum coil dimensions: length 900mm, width 400mm, wire size 3x10mm. 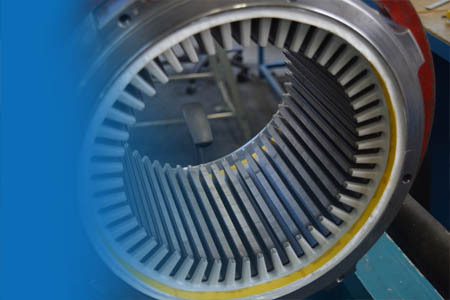 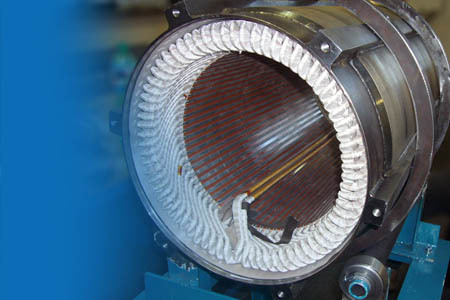 We can deliver complete drives which including connection, impregnation and test.